GCF, the Global Certification Forum, is consulting with stakeholders across industry to understand how device certification can contribute to the success of M2M and IoT. The findings of the study will guide GCF in determining whether its long-established and respected certification scheme needs to be expanded in order to address issues specific to machine-to-machine communications over mobile networks. GCF’s M2M Task Force is studying how Certification can support the emerging M2M business models of current and potential members and the range of M2M use-cases for mobile connectivity. It is also identifying standards relevant to network-to-M2M device interoperability and network stability. 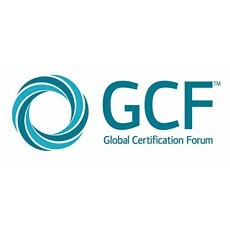 Established in 1999, GCF Certification allows a manufacturer to demonstrate that its wirelessly connected device meets an internationally trusted benchmark of interoperability with multiple mobile networks. The scheme has evolved in line with mobile technologies and now covers devices based on 3GPP (GSM, EDGE, 3G, LTE, LTE-Advanced) and 3GPP2 (cdma2000) standards. More than 70 manufacturers of mobile phones, tablets, embedded wireless modules and other wireless devices are already members of GCF alongside 120+ operators – including the largest American, Chinese, European, Japanese and Korean operator groups – as well as test companies. 536 different devices were certified during 2014. GCF’s common testing framework helps manufacturers expand their addressable markets by enabling them to build confidence in their devices among operators worldwide. The underlying principles are equally relevant to the success of IoT where partnerships between multiple stakeholders are expected to be the basis of many propositions. The M2M Task Force will build on GCF’s earlier research into the impact of “connected vehicles” on mobile networks. With vehicles being mass-produced in factories that supply multiple countries, a large proportion of connected vehicles will typically operate in a “permanent roaming state” and have an explicit need for interoperability across multiple networks. “The global potential of IoT is attracting millions in investment – most of it from outside the traditional mobile industry”, said Lars Nielsen, General Manager of GCF.